Description This clay resists crazing under out T-1 clear and most commercial glazes when fired to cone 04 and glaze fired to cone 06-05. Extremely smooth, white, fine-particled body with good plasticity. Artists often choose white earthenware clay because the color palette associated with the temperature range is very broad. It is fairly easy to identify earthenware pieces in a gallery, they often announce themselves with loud colors! 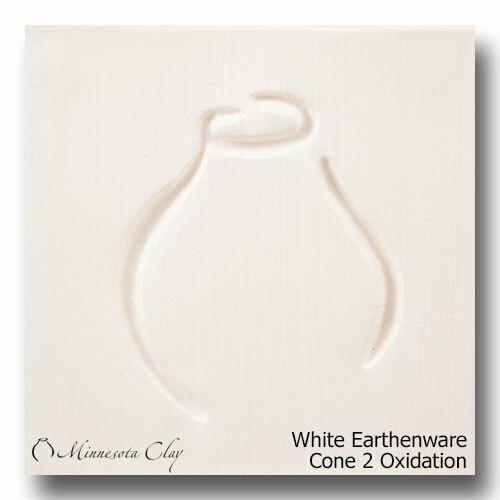 Decorating white earthenware is a little like working on a white canvas; when used in conjunction with modern underglazes and glazes, the artist is presented a "what you see is what you get" design situation. 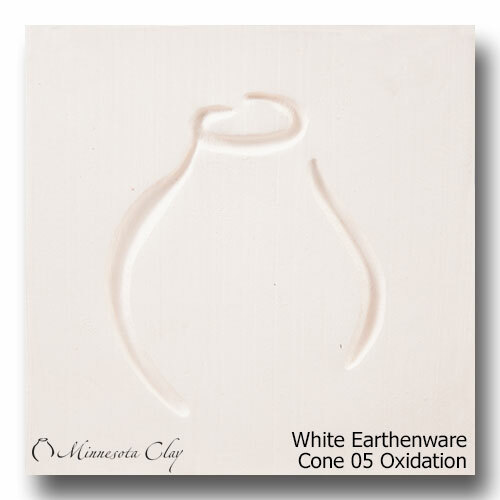 White earthenware is sometimes described as "short" or non-plastic because of the high percentage of non-clay materials. But it needn't be that way. Minnesota Clay's white earthenware is well-suited for throwing and handbuilding techniques. 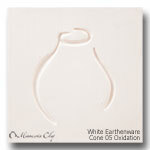 Glazes Use glazes that mature between cone 06 and 2. Other Information The "Glazes" section lists the compatible kinds of glazes for this clay, along with what cone you can fire to and still be in the correct temperature range for both this clay body and the particular glaze.